Federal, State estate tax calculations, future values of the estate along with a detailed balance sheet so you can provide effective recommendations. 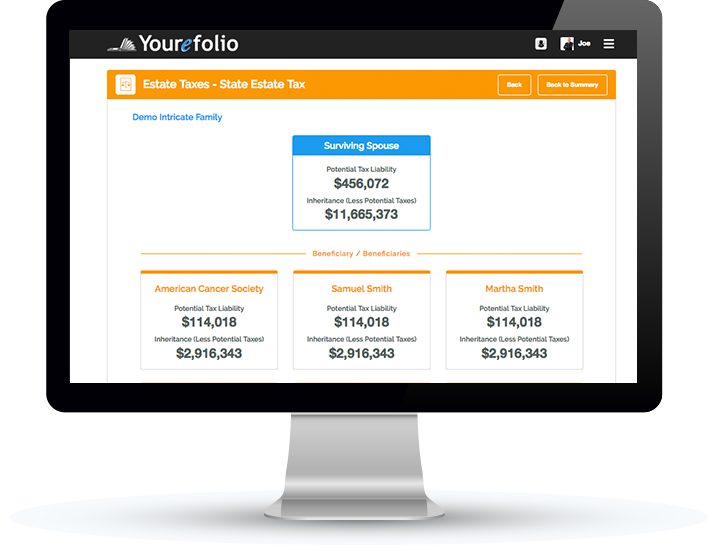 Fully equipped with federal and state tax thresholds, our simple yet effective calculators help professionals prepare estates that are may be subject to taxes. Help clients that don’t have large estates understand if there will be enough money for their loved ones should something happen to them immediately with our future value calculator. A detailed balance sheet with asset titles so professionals can recognize what assets may need to be retitled or protected.